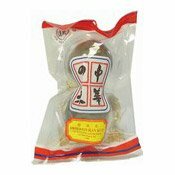 Description: Dried Lo Han Kuo. Used in Chinese herbal soups. Wash contents and add to meat for soup dishes. Boil for approx. 2 hours. Simply enter your details below and we will send you an e-mail when “Dried Lo Han Kuo (進盛羅漢果)” is back in stock!